The AWWCA is a volunteer, non-profit association sustained by the energy of volunteers and by fees and donations from members and friends of the AWWCA. 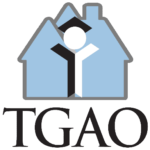 We provide a forum for residents – both homeowners & renters – to communicate their concerns, with a collective voice, to the City of Hamilton, McMaster University, and other municipal groups and relevant jurisdictions in Ontario. The AWWCA was established in September 1998 as a volunteer, nonprofit association. The neighbourhood is located in Ward 1, extending from Highway 403 to Dundas, between the Niagara Escarpment and Cootes Paradise, and border McMaster University. 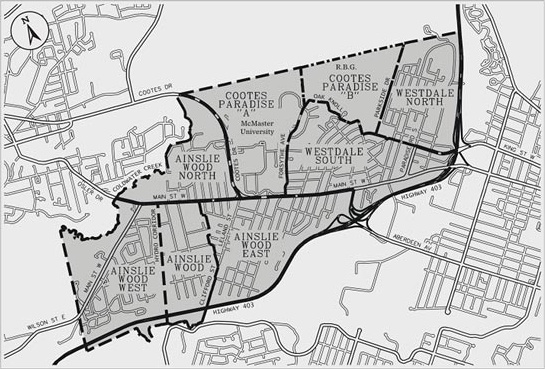 Our mission is to preserve, protect, and enhance the environment of the Ainslie Wood / Westdale community and the quality of life for all residents, as well as to organize and lobby on behalf of the interests of members of the association. We provide a forum for residents to communicate their concerns, with a collective voice, to the City of Hamilton, McMaster University, and other municipal groups and relevant jurisdictions in Ontario. The AWWCA is an active member of McMaster’s President’s Advisory Committee on Community Relations, the Town and Gown Association of Ontario (TGAO), the forWard one participatory budgeting project, among other civic organizations. We encourage you to become a member of the AWWCA, which will entitle you to vote at our meetings and to receive our weekly email newsletters, which are an excellent source of information about our community that the local newspapers do not provide and connect you to resources to help you improve your neighbourhood and quality of life. At present there are approximately 300 members, and every voice, especially yours, is important. If you wish to join, please complete a membership form and return it with the membership fee to the address indicated. Joining the AWWCA is the easiest way for you to stay informed about neighbourhood issues and to have a way to participate. Together, we have tackled problems and concerned which seemed too daunting, onerous, or amorphous to handle alone and in isolation. The AWWCA board of directors holds its monthly meetings at 7 p.m. on the first Monday of each month. Members and guests are welcome to attend by prior arrangement. By becoming involved with your community, you have the opportunity to promote positive change, improve the quality of life for all, and feel good about what you have accomplished. Please contact us at contact@awwca.ca for the meeting location and information.